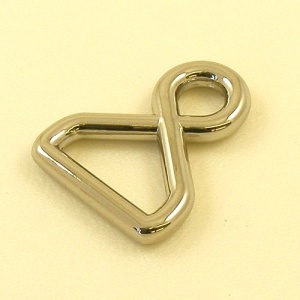 These attractive twisted loops are strong and practical, but also bring added style to handbag designs. 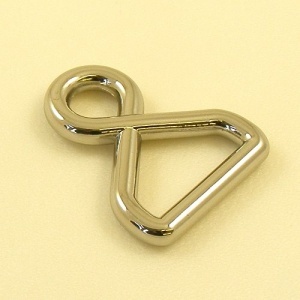 They are used for attaching bag straps, along with a clip or spring gate ring. Nickel free and allergy safe. This fitting has an internal width of 16mm (5/8") across the straight edge and the loop has an internal diameter of 6.5mm.